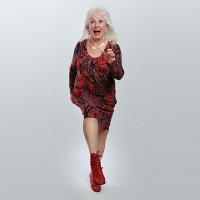 Dillie Keane is an actress singer and founder member of the cabaret act, Fascinating Aida. "With some brand new songs, some grand old favourites, gorgeous songs of love and songs of disgraceful filth, Dillie will break your heart, mend it again and have it sent to the cleaners for pressing. And she'll give you her recipe for chutney while she's at it."